Make $350 to $500 for only one day’s work per week looking after claw machines in Tatura and nearby towns! 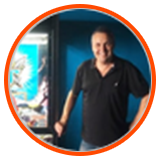 If you are looking to start your own small business in Tatura, this claw machine franchise opportunity in Shepparton is perfect for you! 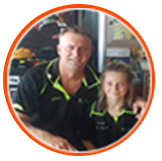 Be the sole Koalakrane franchisee operating in Shepparton and experience less competition in your home territory. Koalakrane works for people in all walks of life, even for those with little to no business experience. Our claw vending machines require no maintenance. You will only need one day for a few hours a week to service them. You don’t have to make your business a trail-and-error project. The Koalakrane system has been proven and tested for 17 years. Receive consistent support in all areas with our competent customer hotline and reliable technical assistance team. Our Koalakrane claw machine prizes are all licensed by world-famous brands such as Disney, Nickelodeon, and many more. Grab this business opportunity in Tatura or someone else will!